I am so excited to be here today for Fall Fever. Haven't the projects been so fun, so far?! My name is Kiki and I blog at Kiki and Company. Today I have a fun fall project for you. Something versatile and easy..two of my favorite things! One thing I use to LOVE about having a fall (I live in Las Vegas and we just don't have much of one) are the leaves changing color. It is the most breathtaking thing to see trees change in color almost overnight and see how they brighten up a scene. 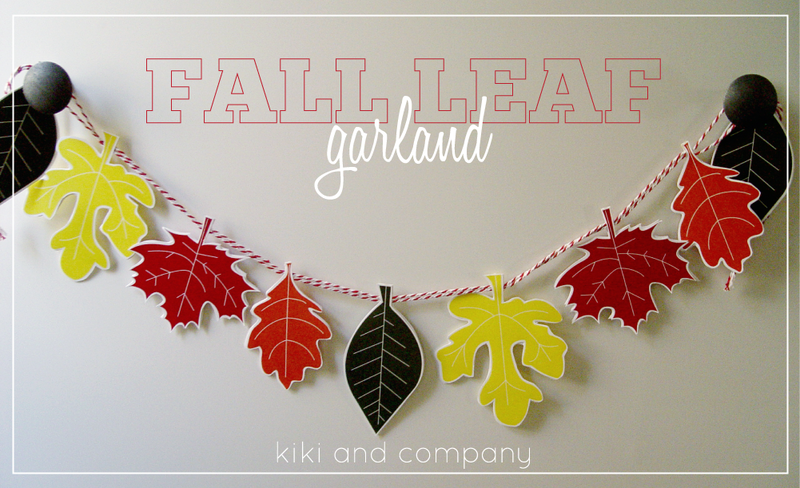 Well, since I don't get to see too much of them, I decided to make my own colorful leaves for my home and made a Fall Leaf Garland. Download the freebie at the end of the post. Grab some twine or ribbon and glue the leaves right on. 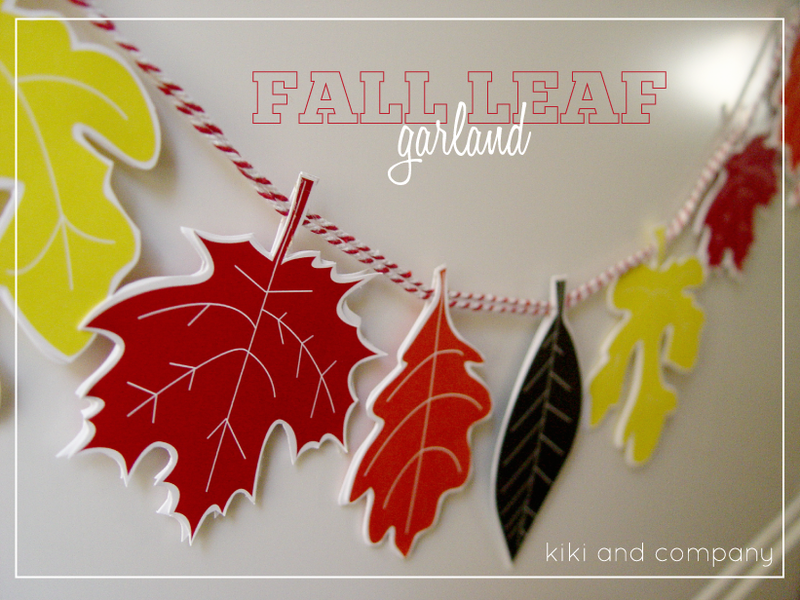 Now hang it up because you have yourself a cute garland to remind you of Fall! 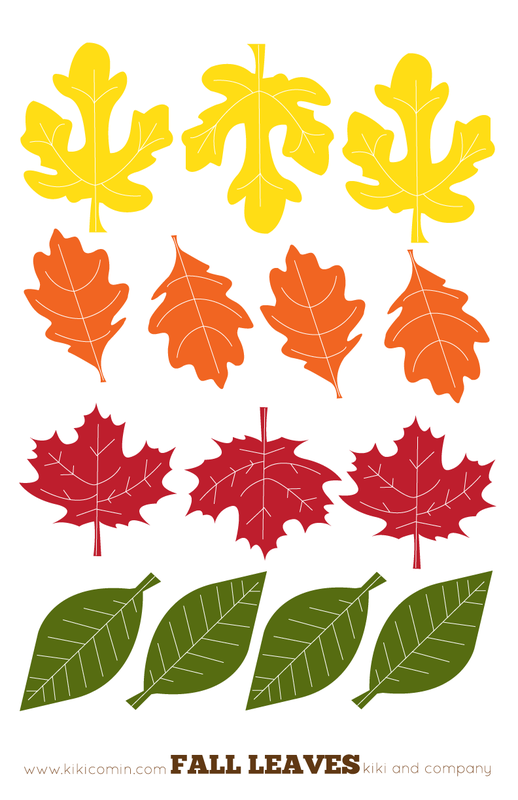 Later this fall on my blog, I will be showing other uses for this printable..think wreaths, thanksgiving decor, etc. To download the leaves, click HERE. If you love freebies, you also don't want to miss FREEBIES every month in my newsletter..you can sign up for it on my sidebar! Thanks for having me, Amanda, and I look forward to seeing you all at my blog! Happy Fall! What a fun freebie! I love those leaves! Please stop by tonight at 6:00 and link up your projects to the Pin It Party!